Hanoi (VNA) - A number of enterprises have taken advantage of technology used for tax collection to avoid paying taxes. The Law on Value Added Tax (VAT) regulates that unprocessed, or preliminarily processed, agricultural, forestry and aquatic products imported from foreign countries are not subject to VAT. However, if these imported products are sold to individuals and small business vendors in the country, they are subject to a VAT rate of 5 percent. In recent years, customs agencies have applied technology in tax collection, which allows enterprises to use email and digital signatures for customs and tax declarations online, as well as allowing them to write, print invoices and pay taxes by themselves without requiring submission of lists of goods purchased and sold during each tax period. A number of enterprises have taken advantage of these methods, importing unprocessed agricultural, forestry and aquatic products from China and selling them to local business vendors and individuals without paying taxes to local tax agencies, the Hai quan (Customs) newspaper reported. The process of founding fake companies to import goods and evade taxes is no longer trivial but practised on a wide scale, according to the report. 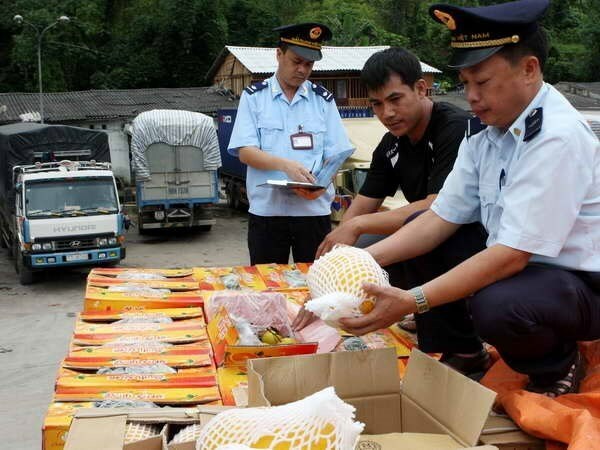 Thirty-four out of 93 enterprises that imported goods through the Tan Thanh border gate last year were found to not have declared 1.15 trillion VND (50.7 million USD) worth of imported goods that were sold to locals, according to the customs agency of the northern province of Lang Son. Tax payment fraud worth 53 billion VND (2.3 million USD) was discovered in eight enterprises. Twenty-nine other enterprises listed an amount of goods – which was sold to locals, hence subject to 5 percent VAT – as having the same or higher value than the amount of goods they imported. In particular, the Lang Son Agriculture, Forestry and Fishery Import-Export Co. Ltd., was found to have avoided paying 23 billion VND (1 million USD) in tax. The company’s director, whose name was included in the invoices, was found to not be involved in directing the company.